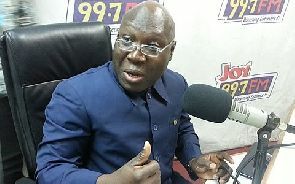 The National Democratic Congress (NDC) Member of Parliament for Tamale Central, Inusah Fuseini has said Ghanaians have not expressed enough outrage following revelations of the misuse of the liquidity support given by the Bank of Ghana to some now-defunct banks to save them from collapsing. It has emerged that, management of now-defunct Capital Bank used liquidity support from the Bank of Ghana as capital to secure a license for another collapsed bank, Sovereign Bank. A report sighted by Citi News indicates that an emergency board and Executive Committee meeting on October 13, 2015, noted concern with the manner in which the Ghc 610 million liquidity support to the struggling bank was being used. “Funds raised through the commercial paper issuance by MC Management Services Limited and Breitling Services were used as capitalization for the establishment of the Sovereign Bank Limited”, the report said. “The placement of GHc 130 MC to Alltime Capital and GHc with Nordea Capital, was a round-tripping of the liquidity support from Bank of Ghana to set up Sovereign Bank,” it added. But, speaking on The Big Issue on Saturday, Mr. Fuseini indicated that the citizenry is calm now because they are yet to come to terms with the repercussions of the move saying “we are not angry at all, we have not yet appreciated the intensity at all and its impact on us. 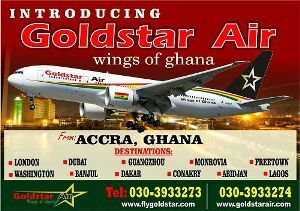 All the collapsed banks, we the people of Ghana are electing to write off their debt and carry it on our heads”, he said. Ghana is currently experiencing a period of uncertainty in the country’s financial sector with many analysts calling for pragmatic measures to save the ailing banking sector. The government has also issued a bond of GHc5.76 billion to cover the gap between the liability and assets assumed by the Consolidated Bank Ghana Limited which was recently formed following the merging of five struggling local banks. According to the legislator, not enough concern had been shown by the public that their tax would be used to write off the debt from the collapse of the banks. “What we are saying now is that some group of people who decided to carry out some unlawful business and incorporated financial institutions and have since squandered the monies of their depositors then we the people of Ghana decided to put together $2 billion of our money to salvage the situation and Ghanaians are not worried…we don’t understand it”, he added. Inusah Fuseini added that the struggles in Ghana’s financial regime may continue if the culprits are not sanctioned. “We should be calling for an investigation and identification of those behind this…it’s a grand scheme. A group of institutions connive to take our $2 billion and they are all sitting down and we say we are angry? We are not angry at all we have not understood what has happened. I am indignant”, he stated. Capital Bank’s CEO signature allegedly forged to divert funds – Report An investigative report sighted by Citi News has noted that the then-Capital Bank CEO, Rev. Fitzgerald Odonkor may have had his signature forged in the authorization of certain deals related to the GHc 610 million liquidity support to the doomed bank. The management of the Bank, with the approval of the Board Chair, diverted some of the BoG support or other uses. Some of that money was presented as capital to set up another collapsed bank, Sovereign Bank. Some of that money was presented as capital to set up another collapsed bank, Sovereign Bank.